Can you believe that 2012 is right around the corner? WOW, did this year fly by or what? Here are 5 Ways to end BIG with your Global Business. 1) Avoid what the masses do. One of the keys to success is separating yourself from the thinking of the masses. If everybody is slowing down their activity and are already on “Mental Vacation” then you want to protect yourself and not fall into that trap. This is the BEST time of year to stay focused and finish strong! 2) Do MORE exposures. 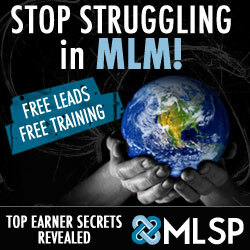 The network marketing industry is about sorting and exposing your business to as many people as possible. This is the perfect time of year to do it. People are already in the frame of mind to be in party mode and to spend money. So why not host some extra in home parties, coffee shop meetings, or hotel events? People are typically in a happier or joyful mood this time of year. Plus you also will be invited to more parties and family functions. This is a great time to not “attack” your friends and family but to “listen” to what is going on in their lives. Remember, we want to sponsor everyone, just not in every situation. Make sure to listen to your family and friends needs. If you listen closely while you are with them you will find a way for your product, service or opportunity to help take away their pain. It might not be the right time to bring it up at that moment, but at least you will know how to approach them within the next few days. 3) Stay consistent with your activity. This is not the time to lose track of your exposures or follow ups. Remember, build a business of integrity and if you tell people that you will follow up with them – then do it. 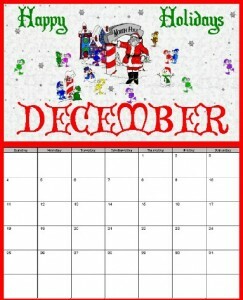 The more seeds you plant this month the quicker you will launch January of 2012. 4) Give gifts! This is the season to be giving. If you are in a product company, give away more samples than you normally do. Get into the spirit of the season and give, give give. If you are in a service or technology company, use your companies services or technology even more to keep in touch with your family and friends. 5) Plan for 2012. This is the month to make sure you reflect on 2011. What you did well, what areas need improvement, where you need to grow as a Leader and ideas to generate more team members and drive volume. Make sure that you slow down enough to think, strategize and write down your goals for 2012. I’ll write another blog on Success Targets but start writing out your goals for 2012. You want to have a plan going into the first part of January that will put you ahead of others who are still recuperating from the holidays and haven’t planned. So stay focused this last month of the year and implement these 5 ways to finish BIG in your Global Business. If you do, you will set yourself up to start 2012 with a bang! Did You Find The Right Mentor? Now What? Time to face the music armed with this great inofrmtaoin. I like Your Article about 5 Ways to end BIG with your Global Business | Jimmy Ezzell – Online MLM Leader & Homebased Business Entrepreneur Perfect just what I was searching for! . Thank you for reading my post…I hope it helped out. If I can do anything to help you don’t hesitate to send me a message. Be on the lookout for our Project 50,000 to be released soon. Our team is giving away 50,000 Books! Thanks you for reading my post…I hope it helped out. If I can do anything to help you don’t hesitate to send me a message. Be on the lookout for our Project 50,000 to be released soon. Our team is giving away 50,000 Books!